Hi, first time post as a new member to the forum! 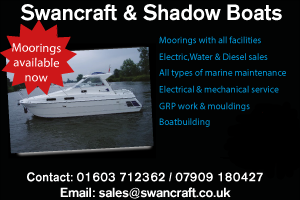 Unfortunately regarding which hire boat I can't help as I have my own part owned boat, if you have a potential choice in mind that you think suits your needs, then you will get plenty of information about whether Mrs Longjohn will be warm enough. If you talk to the boatyard when you have selected your boat, they will (I am sure) pack you extra quilts and such to ensure you are toasty, some yards are better than others but I am not aware of a bad one. The broads has special qualities that change with each season, winter is my personal favourite. There are more electric points down South than up north if you want electric but remember down South more care is needed in regards to tides and the rise & fall with your lines. 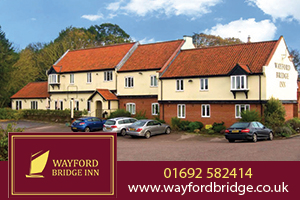 Additionally for a short weekend break it may be more beneficial to stay up North if that is where you hire from and enjoy the places you visit, rather than spending 2 days travelling over Breydon when the daylight hours you are restricted to as hirers are much shorter. Think it has all the mod cons. I think Broadsman is a centre cockpit? Broadway and Broadlander are the bathtubs. Welcome to the forum by the way Longjohn. March can be lovely if Spring comes early, just keep your fingers crossed. Swan Roamer or similar from Richardsons, all ex-Swancraft boats seem to have very powerful warm air heaters and outlets in the bathroom and after cabin. Being as you are hiring a boat for the early part of the season, ask your boatyard what heating arrangements are aboard, are there backup heaters for any failure of the heating. Out of season we always take a couple of hot water bottles to air the bed before retiring, we also take a large fleece with us to put over the duvet, this keeps you warm but if there is condensation it forms on the fleece that can be easily dried during the day. We have on-board potatoes, sausages, bacon and those bacon joints with a good date on them as a back up, in case we find any pubs closed or opening short hours. When on shore power we tend to have a small oil filled radiator on overnight with the stat turned to a lower level, this helps with the condensation and keeps the boat aired. A warm (!) "Welcome Aboard" the good ship NBN, Longjohn. Whatever you choose we hope that you have a great time. Maybe it’s been fixed by now? Welcome aboard the forum! We’ve booked Swan Reflection already for mid-March so may see you out and about. We almost booked Jade Emblem but it was a little more expensive. However if comfort is your priority then I would seriously consider it because Ferry Marina will give you the shore power hookup cable. We’re taking a chance with Richardson’s as they have said previously that they won’t give them out. My recommendation would be layers to wear including your thermals and a double sleeping bag for keeping warm. Early nights and then early mornings cruising on beautiful rivers with not many other folk around. If going for a bathtub style then be careful as to whether there’s a brushed finish around the sliding roof. Swan Reflection has this and it looked as if Jade Emblem does too. Brinks Sonnet doesn’t, or still didn’t last year, and would be far too draughty. As for getting under Wroxham Bridge, does anyone know whether the pilot will be there? I suspect not in which case as hire craft from a yard that insists you use the pilot I’m guessing that we won’t be able to go through. Whatever you choose I’m sure you’ll have a great time. Last time we went in March we were on Rose Emblem and you’ll find my write up somewhere in the Holiday Tales forum. We used to go with Swancraft in December before they stopped hiring. Superb boats, with Bryan and Jean on that one. Snug as a bug. As for getting under bridges, I don't believe there is a pilot at Wroxham till the official beginning of the season, Best to ask the boatyard you are hiring from some may allow taking the boat through on your own. I will second what has been already said concerning using an oil filled radiator if you have shore power , we use one on our boat during the winter and it is “toastie” indeed. if you don’t have one then they are only about £30 online or from Aldi and very useful at home if you don’t wish to turn the central heating on for the whole house on the onset of cooler weather . we also have warm air diesel heating which we utilise when underway or when not on shore power . We have used a small dimplex type radiator on our last two breaks on the Broads in early Spring and October, one on Fair Regent from NBD and more recently on Bronze Emblem from Ferry Marina. Both of these had shore power, though we also ran the dimplex for a time (not overnight) whilst on wild moorings. I would also recommend Turquise Emblem (another one with shore power) from Ferry Marina as that’s another very comfortable boat for two. Yes to warm air heating, but for really chilly nights it’s good to be able to keep a low wattage heater going overnight. Actually, on Bronze Emblem some evenings we used the dimplex in the evening in favour of the warm air heating just because it’s so much quieter! I'll second choosing a Swancraft from Richardson having hired Swan Roamer this year. Although we hired in late May, the brushed canopy runners which Jean mentioned really felt fantastic as there wasn't the merest hint of a draft. The standard of fit out was a class apart and my wife (who's nowhere near as much a boater as me) really appreciated it. Hi all, really appreciate the comments. Swan Roamer is looking favourite, but I'll need Richardson to agree to a Friday not Saturday start. Hopefully a confirmed out of season booking will persuade them. Otherwise Turquoise Emblem looks good (although more expensive) option! Keep the comments and advice coming please. 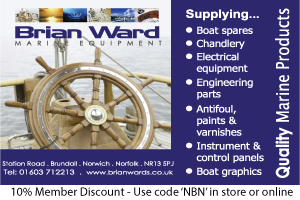 I've hired quite a few Swancraft boats back in the day, including Swan Roamer. 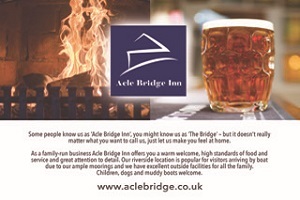 As others have mentioned they have good heating, hot water and battery systems. Also please don't be put off with the season, you can get some very good weather in March. There can be a philosophy that the weather suddenly drops off the scale in October and suddenly becomes tropical again in April. We've been out every December and February for the past 11 years and never had a problem. 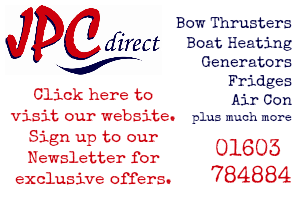 A boat with good draught proofing and a good heating system will be fine. There are some very good suggestions in the thread. Good luck and please let us know how you get on! I don’t know what we did before the advent of oil filled radiators! They really are a godsend for out of season boating. As has been said, running one set low overnight is great when the temperature is below zero or very near it. They do give a great background heat during the evening too, saves the noise of the boat’s warm air heating. Hmm I'd be surprised if Richardson are flexible on that although Swan Roamer is available Saturday to Tuesday if I recall. Before we first booked with Ferry Marina I made a comparison of the total cost of boats from a range of yards including fuel etc and was surprised to find that Ferry Marina was competitive in overall price. Of course, if you are planning not to cruise very far you would get a good refund on your fuel deposit from other yards. However, if you are planning to make the most of your cruising time, as we tend to do, it is a good deal. 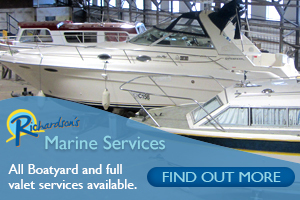 We like their very good customer service and excellent level of boat maintenance. Simon is right, Roamer is Tuesday or Saturday start. Richardson's wont be flexible but it does look as if their season doesn't start until late March or April. Might be worth giving them a bell just to check. 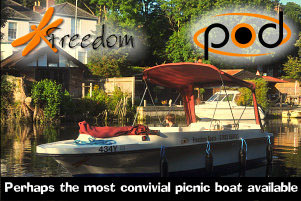 Faircraft Loynes hire all year round but have selected boats available in winter which should be cosier. We've hired one of the Regents in the past during December. I’ve just realised that I referred to ‘Faircraft Loynes’ as NDB...it does confuse matters that they seem to go under two different names. Good customer service though. We thought the Fair Regents were particularly comfortable boats (we’ve hired Fair Regents 1 and 3), However, we think that Ferry Marina’s customer service is just as good, and their boat maintenance up there with the best. I’ve written up our experiences with these boats under the Holiday Tales section, as has Jean (SwanR).